Birdsong Brewing Co. is located in Charlotte’s Belmont Neighborhood. Original storey ran on Charlotte Business Journal by Jennifer Thomas Jan. 18, 2018. Birdsong Brewing is expanding its distribution in South Carolina. 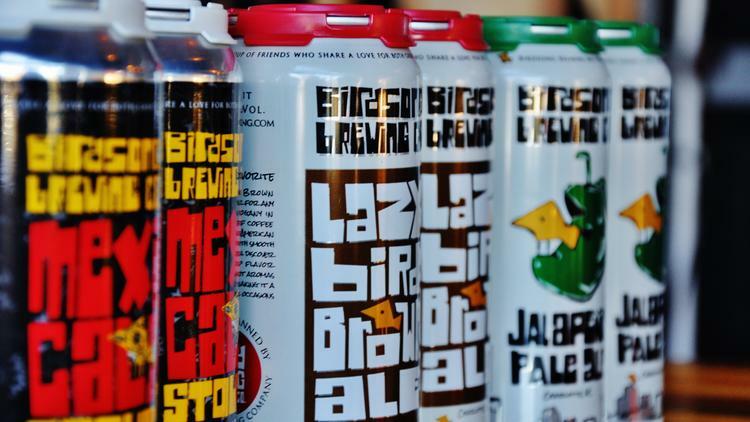 Plans call for Birdsong’s brews to be available in Greenville starting the week of Feb. 19. “Greenville is a rapidly growing part of Upstate South Carolina and has close connections to the Western N.C. beer culture,” says Chris Goulet, principal owner of the brewery. He anticipates as many as 100 accounts in the market to start. It is working with Greenco Beverage Company as its distributor. In 2016, the brewery tapped into South Carolina with distribution in Fort Mill, Rock Hill and Columbia. This expansion follows a successful year for the brewery, Goulet says. Birdson operates a 30-barrel brewhouse and taproom in Charlotte’s Belmont Neighborhood. That 17,000-square-foot facility is located at 1016 N. Davidson St. Birdsong invested $110,000 into solar panels to slash its annual $30,000 energy costs in half. It produced 7,218 barrels in 2017 — an increase of 19%. Goulet anticipates the Greenville expansion could account for production growth of up to 6% in 2018. Estimates for total 2018 production were not yet available. It introduced Paradise City Session IPA, its first new year-round beer to be added to production since 2013. Birdsong also created an brew available exclusively at Charlotte Knights baseball games. Birdsong is Charlotte’s third-oldest brewery.